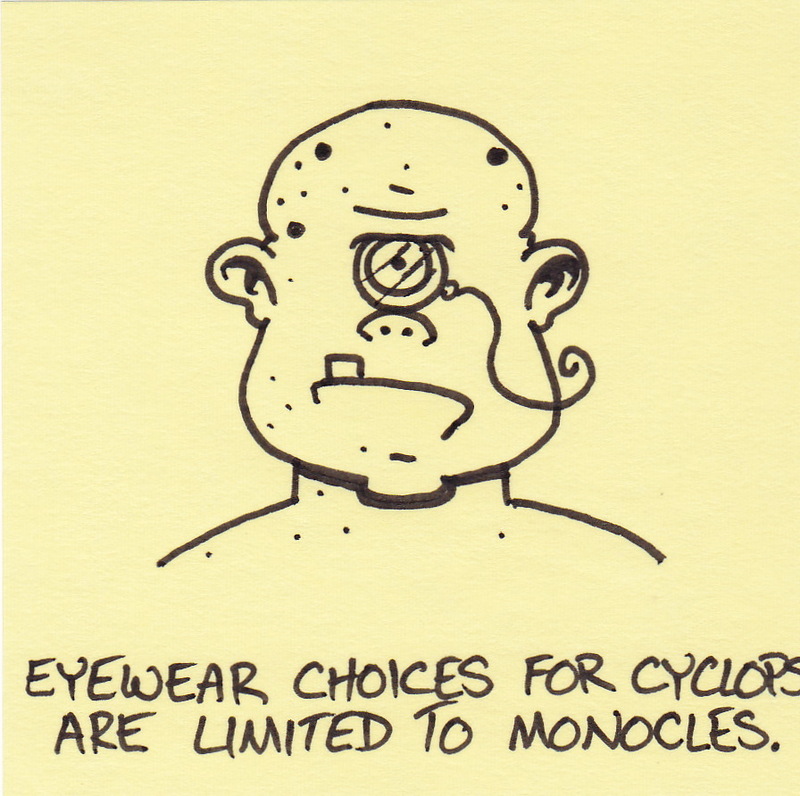 Not exactly the fashion choice you may expect from a brutal mythical beast, but their choices really are limited. 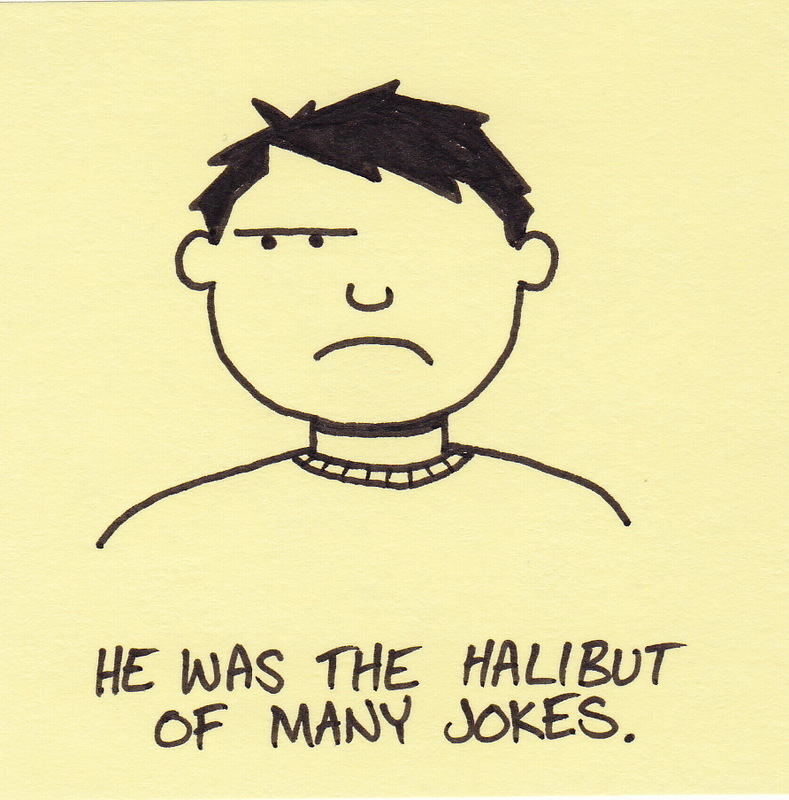 He was the halibut of many jokes. I’ve mentioned before that my Father was a big fan of puns. Especially bad ones. I’m pretty sure he would’ve loved this one. While in the checkout line at the grocery store, I noticed some interesting looking suckers. They were mounted on a large plastic handle with a large red button. Naturally, I pressed the button. The result was the the sucker slowly and continuously spun. Why? Apparently licking suckers takes too much effort. I humbly submit that “spinning suckers” (along with dogs in clothes) are what is wrong with America. 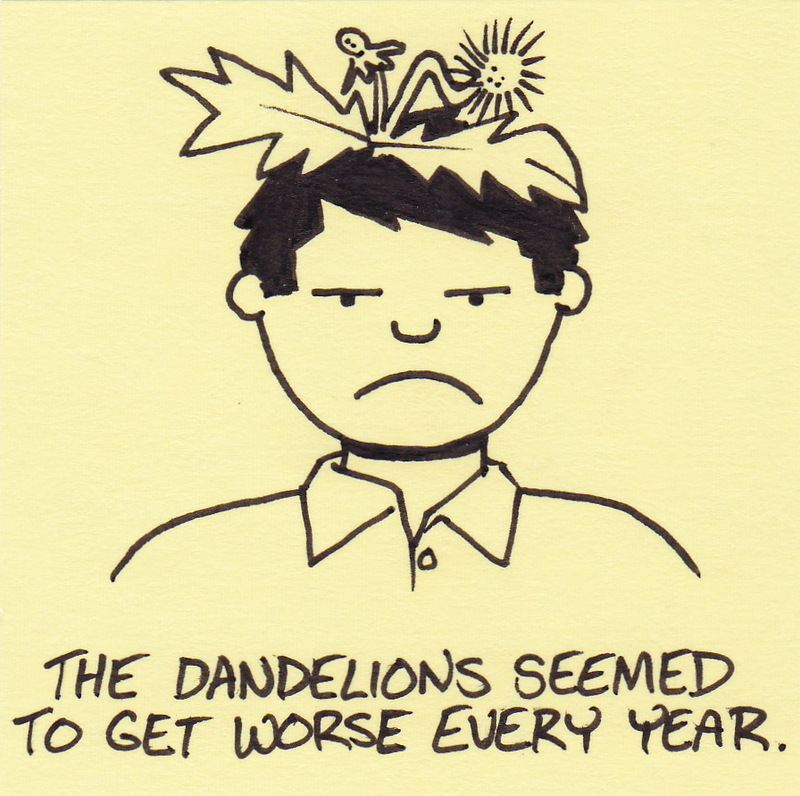 The dandelions seemed to get worse every year. I have been waging war on the lawn this summer. Dandelions, clover, crab grass, and a host of other weeds are spreading completely out-of-control. The only thing that doesn’t seem to be growing well is the grass. As a father of two little girls, my life has become one long series of dress-up tea parties. We have a box full of old dresses, hats, tiaras, costume jewelry, and feather boas. Last Christmas, in an attempt to add something with a little more zing to the dress-up box, I found a wonderful superhero cape for our four-year-old, Abby. The cape itself is a pink velvety material with a purple shield/lightening bolt logo. It has worked wonderfully to spark a whole new series of (Daddy friendly) games and fun. A few weeks ago, Abby was zooming around the front yard in her pajamas and pink cape. In the middle of whatever adventures she was having, she found a small bird laying on the ground under one of the bedroom windows. 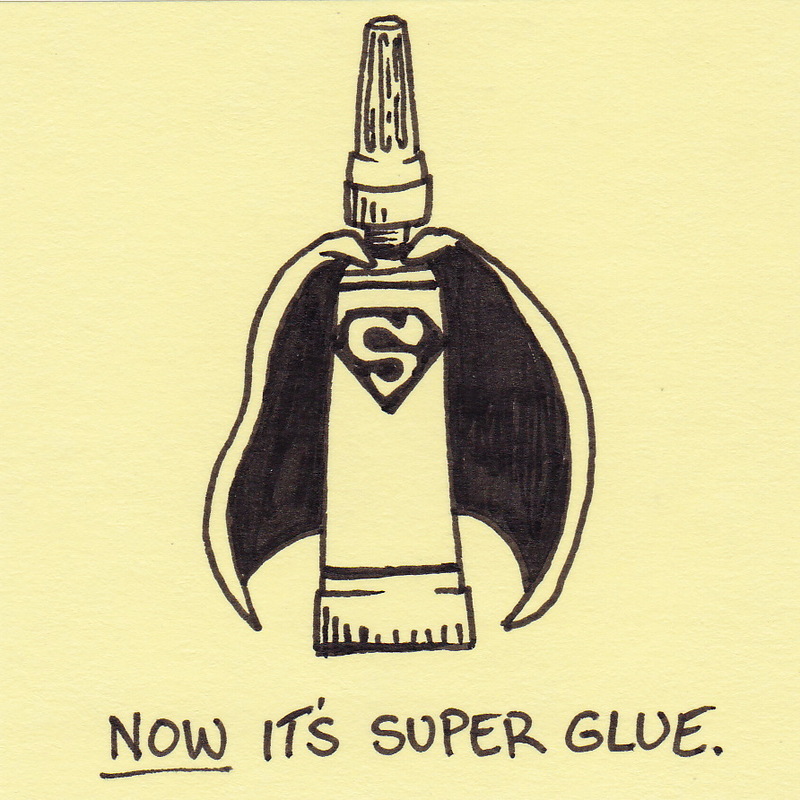 Don’t worry – she has been Super-Abby again (and again and again and again). She overcame the initial shock of finding out that the costume didn’t guarantee the powers. She has even startled some other (merely stunned) birds back into flight over the past few weeks. For Abby, the dead bird on the lawn was a good opportunity to briefly think and ask about death and faith and setbacks and all the other grand themes of the universe. For my part, I know that she is growing up fast. This particular incident made me realize it more than ever before. Soon she will be starting school. Then finishing it. Then college, marriage, and children of her own. But no matter what, she will always be the little girl wearing footed pajamas and a hot pink cape – trying to resurrect birds. 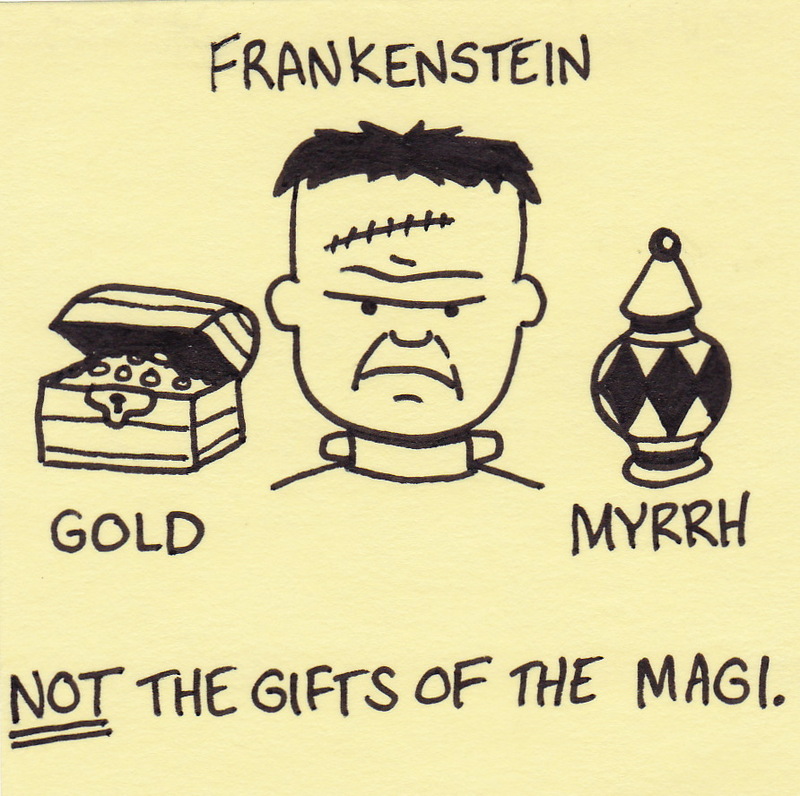 NOT the gifts of the Magi. 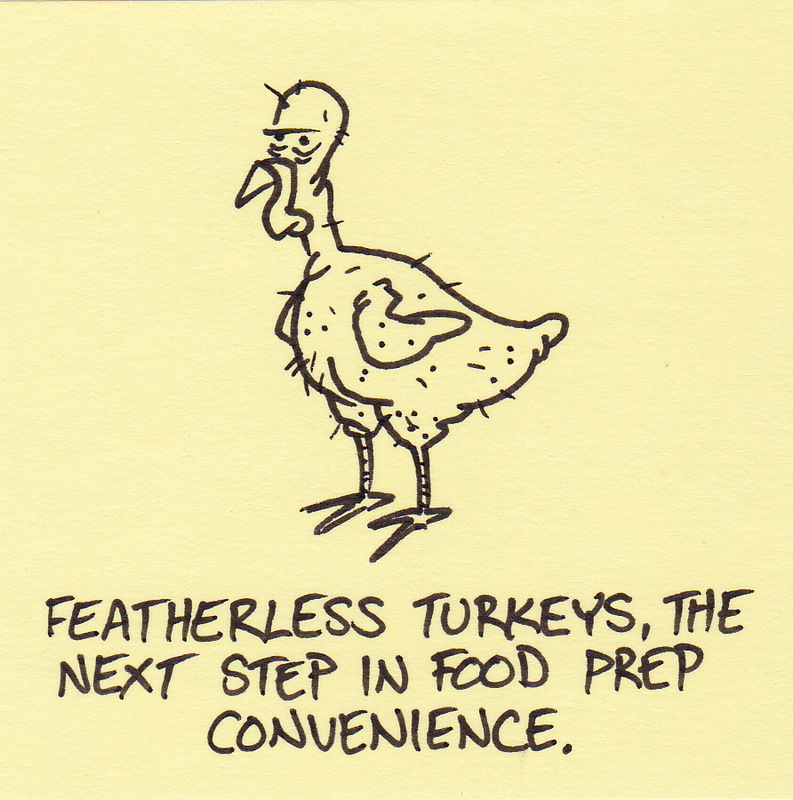 If you think a Christmas joke in June is a little out of season, you may be right. Frankenstein jokes, on the other hand, are always acceptable. My wife has the uncanny ability to find four-leaf clover everywhere we go. It happens all the time. The funniest part is that she doesn’t ever really look for it. 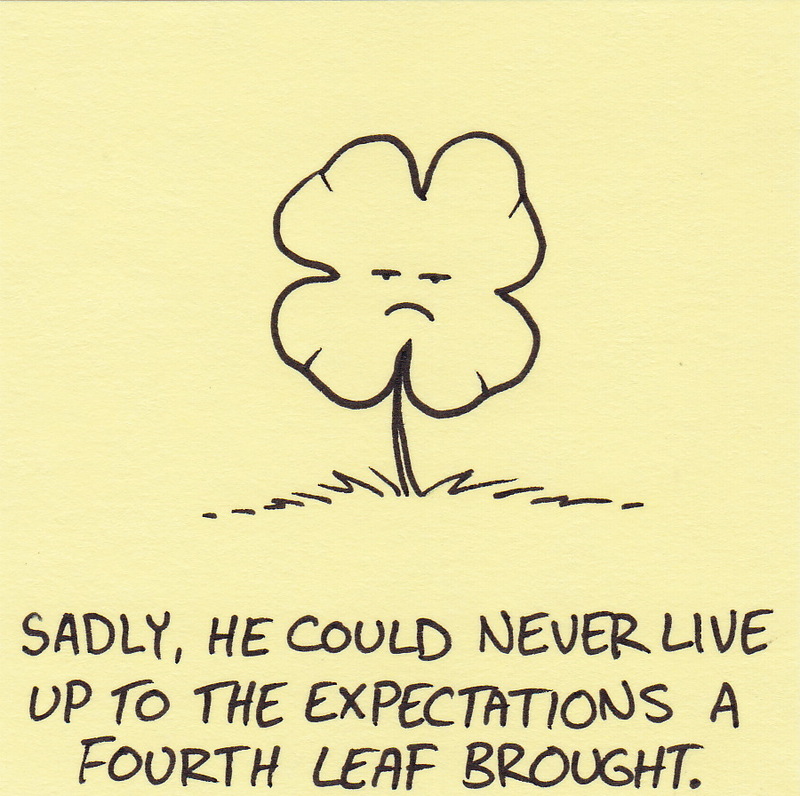 She will just glance at a patch and and happen to look at the only four-leafed one in the bunch. I think she would be even luckier if she kept finding gold nuggets or diamond mines. You are currently browsing the Inkjot blog archives for June, 2011.